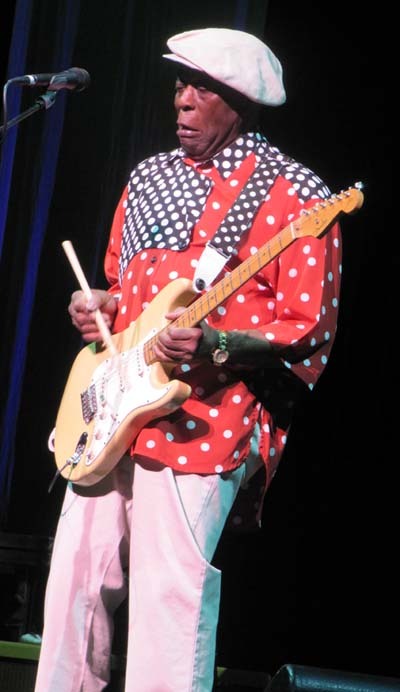 Months ago I mentioned that, in August, I was going to go to a concert to see Buddy Guy and what a wonderful concert it was. He is an amazing performer. There is a reason that he was recently given a Kennedy Center Honor which is given for "Lifetime Contributions to American Culture through the Performing Arts". Not only did he sing and play the guitar, but he interacted with the audience, leaving the stage to go up and down the aisles, even to the balcony, never missing a note. He joked with the audience and was wonderfully silly at times, even playing his guitar with a drumstick. He's a crowd pleaser! 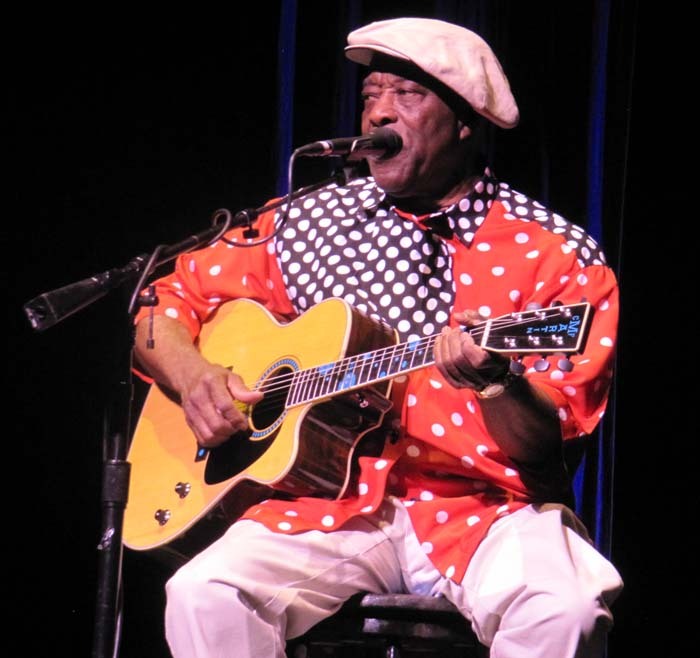 He's been around for decades and I feel very lucky that I finally got to see this blues great in person. I hope that I'll have another chance one day. Then, in October I was in New Orleans. It's like no other city I've ever visited. I was hoping to hear some good music and it was everywhere. It seemed like every bar on Bourbon Street had a band that was so good that I'm surprised that they're not doing big world tours. In one place I was drawn by a group that was playing Pink Floyd's song "Comfortably Numb". It's one of my absolute favorites. David Gilmour's guitar solo at the end is amazing! To me they sounded almost as good as the original. Even on street corners there are talented musicians. Imagine my surprise when I spotted someone I recognized. Twice I have gone to see the group Playing For Change. This is a band of musicians from all over the world who play together, embracing the philosophy of Peace Through Music. Not only do they perform, but they give back...e.g. building music schools in Africa. One of the star performers is a blues singer called Grandpa Elliott. 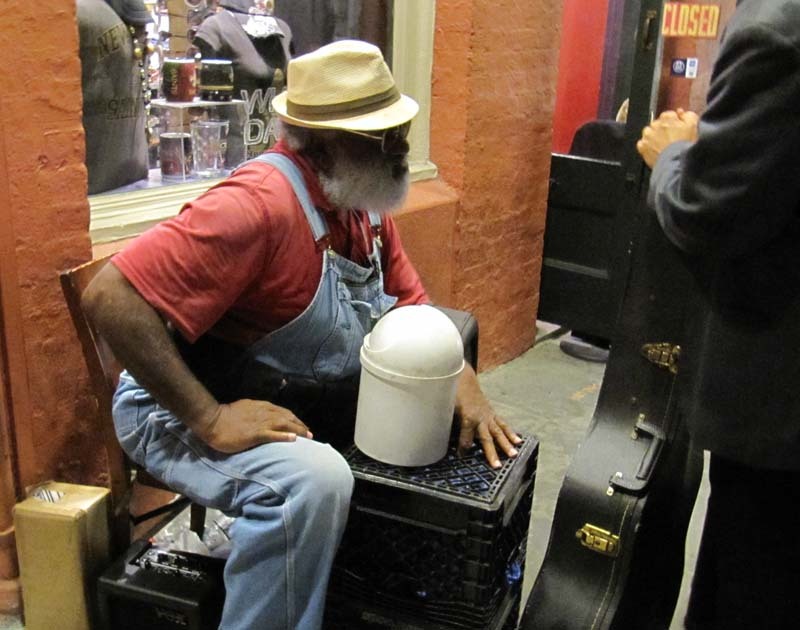 He was discovered playing on a street in New Orleans....and there he was, back in his hometown between tours. I was excited to have a few words with him, telling him how much I enjoyed his music. I found the perfect t-shirt in New Orleans: "I may be old, but I've seen all the cool bands"
Last year was a good year for listening to live music. The best part of all was to finally hear The Allman Brothers Band in person. I can only hope that 2013 will be just as good and that there is lots of music ahead.